Solar & Squam Lakes Assoc. LES May Newsletter - Exciting Job Postings and Webinars Inside! City of Claremont hosts community forum on residential solar. See our Full Calendar of Events here. Visit www.nhenergy.org for further resources. The Plan proposes using $4.6 million for electric vehicle charging stations. For more information please visit OSI’s website. Listen to Laura Knoy, host of NHPR's "The Exchange", explore the strategy here. Read the Strategy in full here. 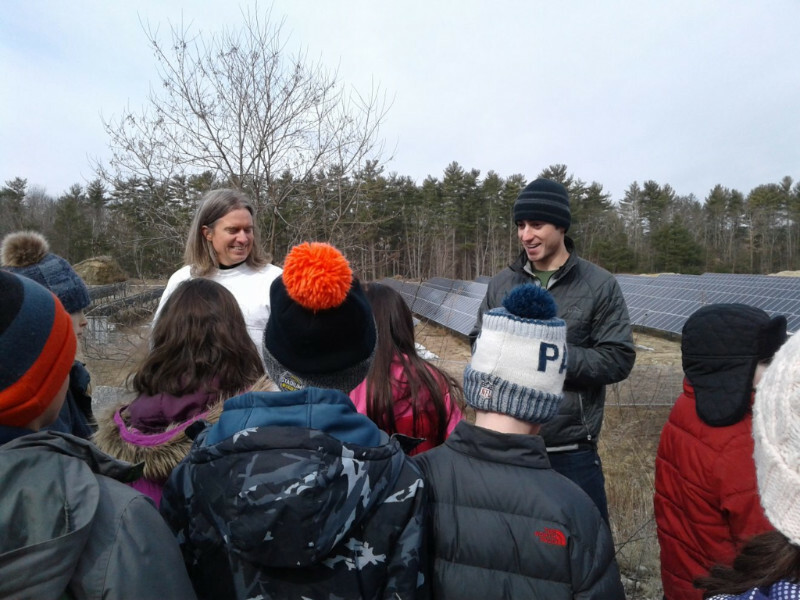 On Friday, April 6, 4th graders from the Mast Way and Mohariment elementary schools visited the Town of Durham's vast and innovative solar array. The visit was part of the fourth grade science unit on renewable and non-renewable energy. Read more here. Read Professor Michael Mooiman's blog on community solar here. LES has two excellent upcoming webinars! Registration below. Please join us for a webinar highlighting two exemplars of municipal energy planning in New Hampshire. Come learn about how planning impacts local energy project execution on the ground! You can find Dover's "Stewardship of Resources" Master Planning chapter here and Claremont's "Energy" Master Planning chapter here. Please join us for a webinar on NHSEA's newly released Model Solar Zoning Ordinance. New Hampshire has not yet seen a dramatic growth of solar power development like our neighbors in Vermont & Massachusetts. We know, however, it’s upon us, and in a few communities, has already arrived. Large-scale (and rooftop) solar can offer great benefits to both a community and the state, but there are also concerns that must be addressed in order to give communities both comfort and control. NHSEA and partners held an event in June 2017, Guiding NH to Smart Solar Siting, in order to bring people together to proactively deal with these imminent challenges and opportunities. 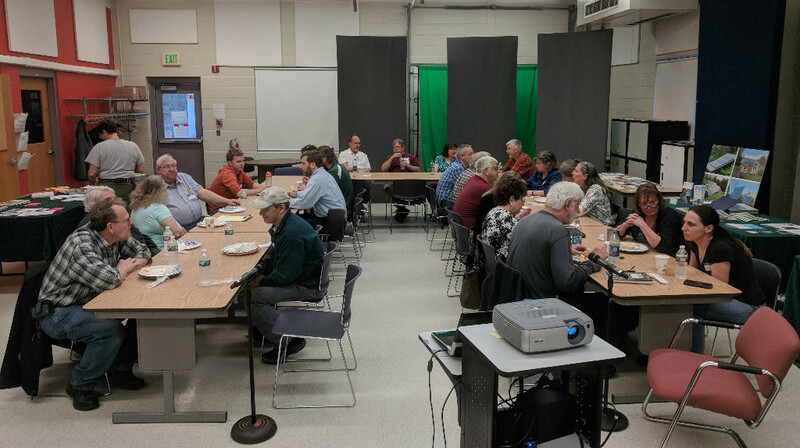 One outcome of this event resulted in a call for model solar ordinance language that communities can use to create solar-friendly rules that also protect the community. NHSEA partnered with two NH planners and diverse municipal and industry stakeholder input, to develop this model ordinance. This brand-new model ordinance will be presented and discussed in this webinar. On Tuesday, May 8 at 3:00 p.m., the American Council for an Energy-Efficient Economy will host a webinar to explore how states, cities, and localities can best finance energy efficiency projects and achieve clean energy goals. Read more here. Granite State Clean Cities Coalition proudly presents the 2018 Green Your Fleet! (GYF) Workshop. GYF features an electrifying agenda containing the latest in alternative fuels, advanced vehicles and technology trends … including Jamie Page-Deaton of U.S. News & World Report as our Keynote Speaker. Click this link to learn more and REGISTER TODAY! Has your community hosted a Button Up Recently? Now is the time! Would you like a free NHSaves Button Up presentation in your community? These popular energy efficiency workshops feature energy efficiency tips for homeowners. Contact Robbin Adams at PAREI <robbin@plymouthenergy.org> for more information, or see the NHSaves Calendar for these and other upcoming workshops. Lakes Region Community College is hosting the Connecting Workforce Resources Spring Tour for employers on Wednesday, May 16, 9 - 11 am. At LRCC's Academic Commons, 379 Belmont Rd, Laconia, NH. Join us for speed networking with six core workforce programs under one roof! See full events calendar here. HB 446, which raises the project size cap for net metering projects receiving default energy service rate from 1 megawatt to 5 megawatt, passes the House! Keep up to date on Current Energy Legislation here. Our mission is to provide collaborative guidance and technical support to Local Energy Committees & Commissions (LEC's), municipalities, schools, and other political subdivisions seeking to reduce energy use, minimize energy costs, and/or reduce fossil-fuel consumption. Consider joining our efforts: contact Henry Herndon for more information on the LES efforts and opportunities for participation. About Our E-Newsletter: The monthly Local Energy Solutions E-newsletter is compiled and distributed by the New Hampshire Sustainable Energy Association on behalf of the LES Work Group. Learn more about NHSEA. Copyright © *|2018|* *|The LES|*, All rights reserved. We are here to provide guidance and resources to help local energy groups implement successful energy efficiency and renewable energy projects to make their communities more sustainable. ​NHEnergy.org and Local Energy Solutions are coordinated by Clean Energy NH.